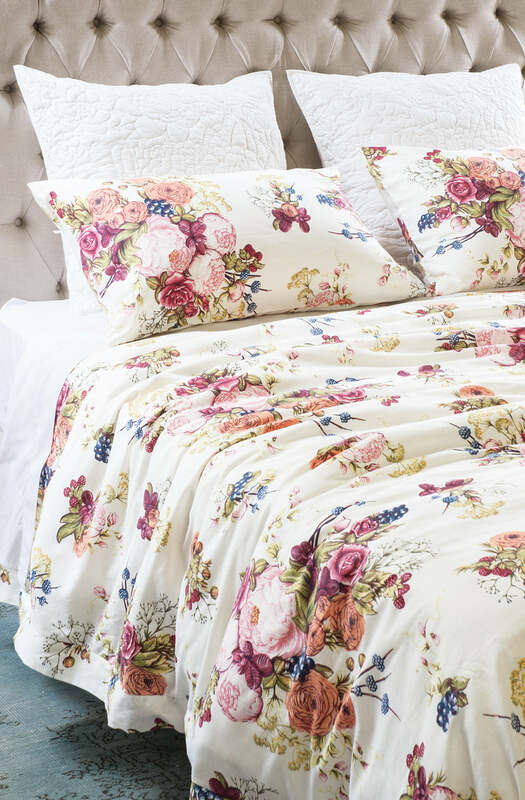 Featuring a sophisticated, yet whimsical assortment of ranunculus, peonies, roses, sweet pea and mixed berries, the bouquet print is a contemporary take on a much loved vintage aesthetic. Printed on a cotton/linen base fabric in wide width of 275cm. Also available in cushions. 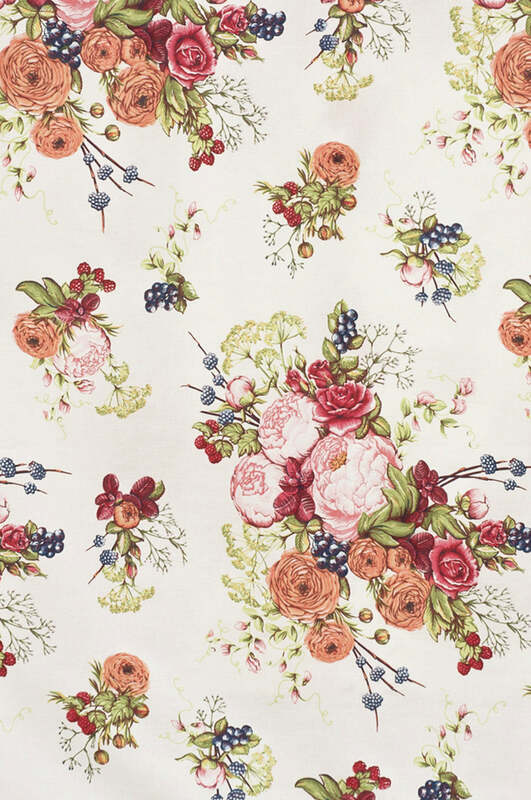 Please send me a sample of the following swatch for bouquet ivory fabric.